After the presentations given at our workshop on Developing Online Research Training and Course Delivery we broke up into several groups to discuss the issues involved. This proved to be a highly useful exercise. One part of that conversation focused on the problem of students having no face to face contact on online only courses and whether or not there are any ways to get around that. It was generally decided that it is best to have some kind of face-to-face contact as student groups gel better and trust one-another more once they have met in person. Where this is not possible careful use of virtual classrooms and forum discussions were considered a way forward (although far from perfect). It was also highlighted that there is a considerable difference between long and short courses in this regard. A virtual classroom makes use of microphones, webcams and conversation tools on an online environment to create a virtual representation of a classroom. 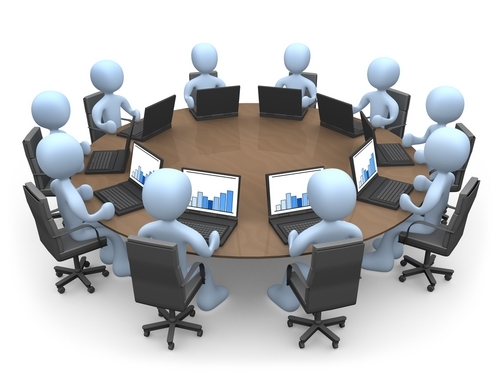 At its heart it is just a more complex conference call (such as can be achieved through Skype) with additional tools. There is usually a whiteboard where tutors can upload slide shows and pdf’s and scribble notes. Students can communicate with other students or with the tutor through the use of a text chat function or as audio through a microphone. The Open University, for example, uses Elluminate (now owned by Blackboard) as their virtual classroom. They have found that in general virtual classrooms works best with small groups of ten or less – otherwise there is too much noise and loses cohesion. Although virtual classrooms can provide an excellent ‘live’ session it is more difficult to control and run smoothly than a traditional face-to-face tutorial. Forums have become an essential part of many online courses. The group however generally viewed them as a ‘necessary evil’ rather than a useful tool. It was felt that it is too easy for learners to lose track of a thread or to be overwhelmed or annoyed where there is too many forums to follow. Forums require constant supervision and moderation as discussions can easily become unintentionally aggressive and argumentative and comments can easily be misconstrued. This leads to a lot of work for the moderator. However, forums were still considered a useful way forward if used well. Forums can deliver general chat as well as directed discussion and even those that do not contribute will gain something from following the threads. Shy people who might not contribute in a face-to-face situation might be more willing to say what they think in this environment and students in general might be more willing to challenge each other. Recently we have uploaded brand new podcasts from two highly successful conferences held this year at the IHR. The first are a selection of podcasts from our annual Anglo-American conference. 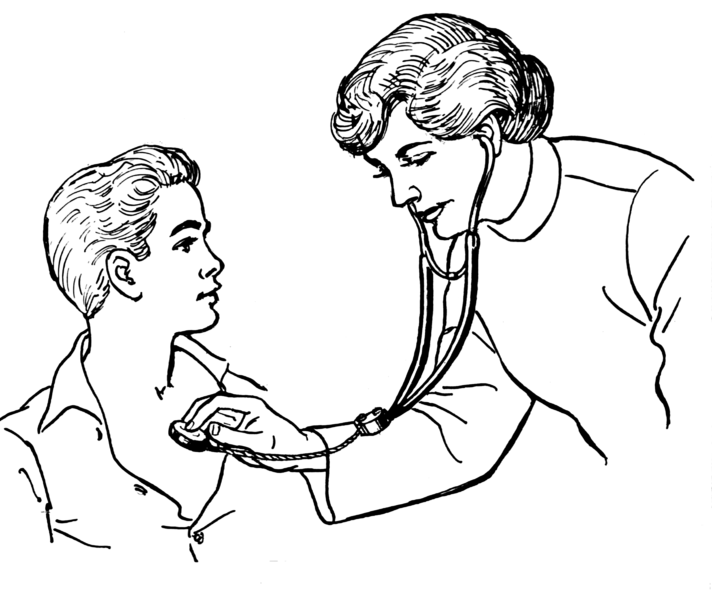 This year the subject was Health in History, which proved both timely considering what is happening with the NHS and fascinating as a subject area. The second is a one day event celebrating the life and influence of Asa Briggs. Asa Briggs turned 90 this year and this event provided the perfect opportunity to look at his varied career and to hear Asa Briggs own views and memories first hand. We have also now uploaded all outstanding podcasts from the 2010-2011 seminar season. Over the coming months the SPOT Newsletter will talk about these in further detail but in the meantime please do feel free to have a look around. To view these podcasts please click on the icons below. I think it is safe to say that the Open University are considered the leaders in distance learning and online training. In the UK they have certainly experimented with new tools and technologies long before other universities have even realised that those tools exist. I was therefore very pleased when three representatives of the OU MA History course kindly agreed to give a short presentation of their experiences at our recent Developing Online Research Training and Course Delivery workshop. I already knew that the OU use Moodle as their virtual learning environment (VLE for short) which is the same system that I have been learning to use over the past year for the IHR. I was also aware that their courses generally provided face to face sessions and textbooks and CD’s delivered to students. What I was much less clear about was the difficulties that they had to tackle (and continue to tackle) to translate complex subjects into usable online resources. Chris Williams, Stuart Mitchell and Wendy Mears stated that it takes them three years to develop an online course. That is much longer than we have to develop training courses ourselves but then ours will be that much smaller and more narrowly focused. Stuart stated that they generally make two basic assumptions about their students. First, that each student will have at least a basic IT literacy that includes using the internet. Second, that they have at least an undergraduate knowledge of history, historical skills and common terminology. However, these assumptions were also shown to be the main difficulty involved in developing online courses. Not all students do have the same knowledge and expertise as each other. This is relatively straightforward to deal with in a face to face setting, but all the more harder online. The OU library therefore provides a support IT helpdesk for its students. Each year a face to face or virtual session is offered to deliver basic navigation advice to students. In addition an online helpdesk provides students the opportunity to offer advice to students individually on a need-to-know basis. Content is also a problem. Content has to be broken down into gobbets otherwise texts are unwieldy and unmanageable – imagine, for example, trying to explain the complexities of Foucault online in one big chunk! It just wouldn’t work. With the 2010-2011 IHR seminar schedules at an end and all of the resulting podcasts uploaded online on the www.history.ac.uk website I thought this was a good time to take a moment and look at the statistics from the past year. As you can see from the bar chart and accompanying data the British History in the Long 18th Century seminar group received most hits to their pages with the Metropolitan History seminar, University of Paris Franco-British History, and Notre Dame University Global History seminars coming in a close second. The stats however, need further explaining. Both the British History in the Long 18th Century and Metropolitan History seminar groups received a significant boost from jointly holding our first live streamed session. Neither the Psychoanalysis and History and Philosophy of History seminar groups held any podcasted events this year so their lower statistics represent visits to podcasts that have been held there for over a year. 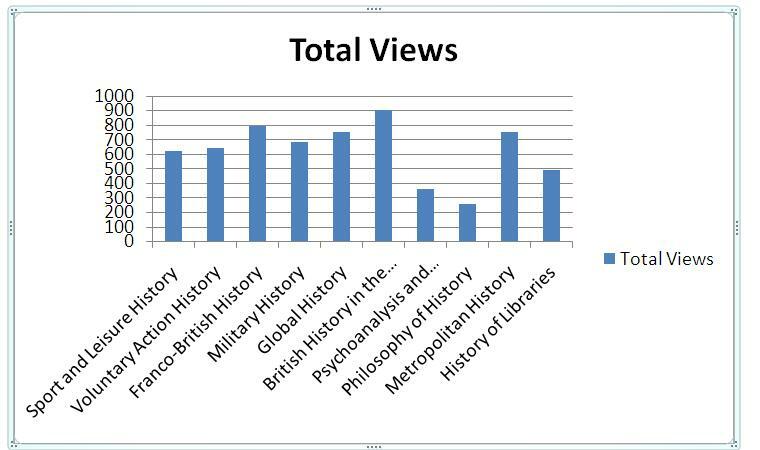 Particularly noteworthy however are the results for the History of Libraries seminar that have only podcasted one session and yet received 493 hits and 398 unique viewings over the last year. The stats for the live stream page also shows a strong interest especially considering that we have only held 6 events and only for the last 4-5 months. Our first screening attracted 478 page views with 40 people actually participating in the live stream itself. Since then we have received a further 774 page views of our live stream webpage with an average of 10 viewers for subsequent screenings. Admittedly the contrast between page views and actual attendees to the live stream itself vary considerably but we are nonetheless thrilled that there has been this interest particularly with limited advertisement. To have a look at our Seminar and Conference podcasts (including a selection from our recent Anglo-American Conference) go to the IHR Website. Two weeks ago the IHR held its 80th Anglo-American conference. This topic was Health in History which presented the opportunity for historians to discuss a variety of health related histories and in some cases relate that research to current medical demands and political issues over the NHS and other medical authorities. We have already uploaded a small selection of podcasts from this conference with more to follow shortly (click here for the Anglo-American 2011 conference podcasts. In a future week I will discuss these in more depth. In the meantime this special edition of the SPOT Newsletter selects three recent papers from our seminar groups on the topic of health. These papers offer a varied approach to the topic beginning with Chris Hamlin asking why it is important for us to attempt a diagnosis of past illnesses. Indeed, Hamlin argues that it is not so important which raises up some interesting questions in the subsequent discussion. We then move onto voluntary organisations, first in the nineteenth century when there was a movement toward providing green spaces in urban centres for medicinal purposes. Clare Hickman looks at the difficulties (especially financial limitations) involved for the voluntary organisations. Then George Campbell Gosling shows us how these nineteenth century voluntary organisations coped with the changes of the twentieth century, particularly as they were consumed within the NHS. The issue of payment and affordability are the crucial focus for this paper as it grapples with the voluntary and public hospitals just before they were consumed into the NHS in 1948. Diseases long ago and far away: Does doctors’ knowledge answer historians’ questions? Chris Hamlin takes a rather contentious position in this session of the Global History seminar which produced a good and interesting debate amongst those present. Hamlin asks the question ‘why should we care?’ in regards to historians attempts to diagnose old diseases and illnesses through knowledge of modern medicine. The problem with such diagnoses is that historians are rarely in a position to be able to say for certain and at any rate are imposing modern understandings of medicine onto medieval and early modern knowledge. 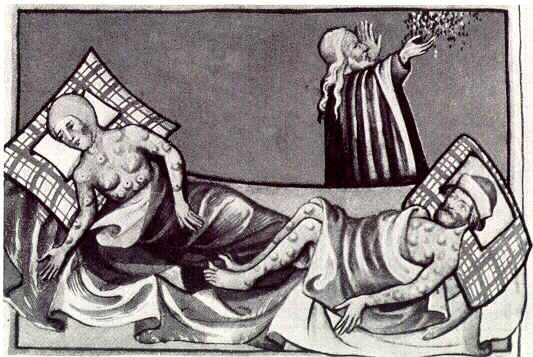 Does it matter what disease actually caused the Black Death and how useful, really, is statistics that suggest high percentages of deaths connected specifically to that one disease? Hamlin argues that the understanding of the time is more important and that other illnesses and infections caused by (amongst other factors) malnutrition are often ignored in such simplistic categorisations. Hamlin’s paper is about the practice of historians and asks the question whether changes should be made to the way we approach such subjects. Debate throughout the presentation suggests that not everyone agrees with Hamlin’s position, but nevertheless does force them to find reasons why they think that way. The preservation of green spaces as parks, gardens and playgrounds first occurred on a large scale in the nineteenth century. Medical authorities and voluntary organisations promoted them as therapeutic resources; a necessary escape from urban life. Clare Hickman talks about the various voluntary organisations set up to safeguard green spaces for city dwellers. The Commons preservation Society, Kyrle Society, Metropolitan Garden Society, and National Health Society amongst others took varied approaches towards this issue and took it upon themselves to promote green spaces. The problem for local and medical authorities in regards to green spaces was not finding space – many green spaces were donated during the nineteenth century. 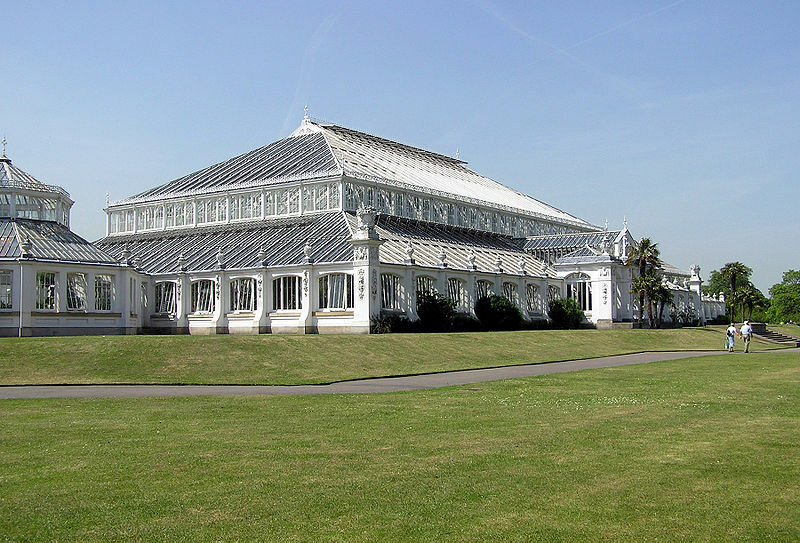 The problem was one of financing their upkeep – not until the 1870s-80s would councils feel confident asking their Constituents for rates that could go towards park upkeep. This is where the voluntary organisations stepped in – providing finances to purchase and maintain parks and gardens for the public good. ‘Universal access to health care’ and ‘free at the point of use’ is branded about on a regular basis when government and media talk about the NHS particularly at times, like now, when government are pushing through major changes that reaches to the heart of the national health service . However, in the debates we rarely consider what came before the NHS and, upon its foundation, what was decided and why. George Campbell Gosling makes an excellent point. Why have histories of British health care rarely focused on the issue of payments especially before the inception of the NHS? It is because British historians working within the culture of the NHS are the people studying it. In America, for instance, payment is a key focus of such studies in regard to their health systems as payment is still a key part of their system. Campbell discussion of payment in pre-NHS hospitals is therefore not only interesting but highly relevant to current dilemmas affecting the NHS. Two weeks ago we held a workshop on developing online research training particularly focused on the History profession (see my previous posts). Of course my post at the IHR asks for me to develop online training courses (not so much the content but the infrastructure and design) so the topic of the workshop was intricately linked with focusing and enhancing our future plans. At that workshop my colleagues, who are employed to develop the content of these courses both online and face to face, gave a brief talk about what the IHR provides in terms of research training, how successful that has been and where we plan to take it in the future. Simon Trafford began with a brief rundown of what the IHR offers the Historical community. The common room and library are foci for historians. The 50+ seminar groups a place for learning, teaching and scholarly debate. The various publications and e-publications a furthering of academic knowledge and the research training programmes an opportunity to help both new and older academics make the most of their skills. As an institute set up to aid research both nationally and internationally the IHR have always tried to reach beyond its London base. However, the continued tendency for training uptake to derive from the London region continues to be a challenge. The IHR have, however, had some success in broadening its appeal. Various summer schools are held to make it easier for visiting scholars to gain something from the IHR in a short period of time and at a time when their own institutions’ demands are less. The IHR have also undertaken a programme of regional training events – taking our expertise out to other areas of the country. More recently the IHR have begun to develop a greater online presence for its research training, which brings us to the second half of the presentation, given by Mark Merry. Mark Merry told the audience about the IHR’s three phased approach to developing online training. The results from Phase One will be made available with the launch of History SPOT when several handbooks derived from our own expertise and training courses are provided free of charge. These handbooks (named Historical Research Handbooks) are meant as reference guides that can be dipped into or read as a whole. They will tackle methodological, theoretical and practical problems related to their topic and, hopefully, act as a hook to our face to face courses and, in the future, online courses. Phase One also includes additional online material for our face to face courses. We hope to provide something a little extra for those who attend a course with the IHR. Phase Two will present ‘tutorless’ courses on various subjects that can be undertaken at a learners own time and pace. These courses will emphasise interactivity and communication between users (community support) as well as providing various assignments, exercises and activities. Phase Three will develop out of these resources new tutor led courses entirely provided in an online environment. These courses will include virtual lectures, seminars and discussions and will be tutored by an expert in the field of study. Every now and then a digital research project comes along which attempts to make innovative use of various available technologies and turn them into something coherent and extremely useful for an academic discipline. I feel that the IHR’s ReScript Project is one such project that shows great potential in this regard. Of course editing and analysis of historical texts is at the centre of what most historians do, but there have, as yet, been relatively few attempts to transfer this process onto an online ‘editing platform’ that can be worked upon collaboratively and make heightened use of IT tools that have become available for such work. It will therefore be interesting to hear what experts from the field have in mind when it comes to transferring textual processing and analysis skills into a digitalised forum. What can an online platform do that can’t be done using more traditional methods? What might we lose and gain from such a process? The workshop and ‘Ideas Cafe’ will look at the issues from three viewpoints: the researcher; the editor; and the technologist. This is by itself an appealing approach which will hopefully create discussion of a varied nature and help to form awareness for each of the interested parties needs, requirements and desires. The event takes place at the IHR on Thursday this week (7July) between 12.30-4.30pm. If you would like to come along to take part in the event please email Donna Baillie (donna.baillie@sas.ac.uk). We will also be steaming the event live on the IHR website (with the option to contribute in the open discussion session) so if you can’t make it to the actual event, please feel free to listen in online.